Throughout February and March, avid CrossFit athletes around the world can be found frantically logging into their CrossFit.com accounts to view what they have been training for all year: a ranking on The Reebok CrossFit Games Open leaderboard. CrossFit, which has rapidly gained popularity within the last 10 years, has a multitude of elements attached to its name. Generally speaking, it is a branded, high-intensity fitness regimen with a focus on interval training, Olympic weightlifting, powerlifting, gymnastics, and other exercises. 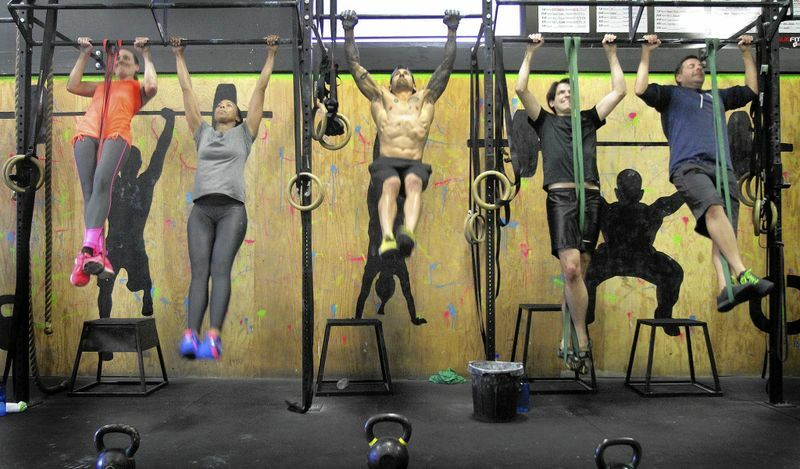 Rather than being just a different way of working out, CrossFit has quickly grown into an international community filled with fitness enthusiasts of all ages partaking in a similar lifestyle. One member of the CrossFit community at Claremont High School (CHS) is English teacher Ms. Stein, who is in her fifth year of participation. CrossFit provides a unique competitive aspect to fitness, which is reflected in the annual Reebok-sponsored CrossFit Games, a crucial aspect of the CrossFit community. In order to receive an invitation to compete in the Games itself, one must complete a series of qualifiers, which starts out on the Open level. The Open level, true to its name, is open to everybody for participation. This is made possible by the competition being solely online. In 2016, the open had 374,307 registered participants from 175 different countries. It takes place over a span of five weeks, with one new workout each week. While everyone does the same workout, weight and repetitions are scaled based on the competitor’s age group. Workout results (which can include the participant’s finish time or their number of repetitions) are later posted on the CrossFit Games website, and the online leaderboard is updated constantly. In addition to being an avid member of the CrossFit community, Ms. Stein is currently in her third year of participating in the CrossFit Games Open. Following the open level, qualifying competitors then advance to their local Regionals, which was held as an additional online qualifier as of last year. After regionals, qualifying competitors then advance to the actual CrossFit Games, which will be held in Madison, Wisconsin this year. First place winners in each division receive $300,000, second receives $90,000, and so on. But perhaps most importantly, first place winners are dramatically declared “Fittest On Earth” by Reebok, in view of the fact that CrossFit takes nearly all aspects of fitness into account.